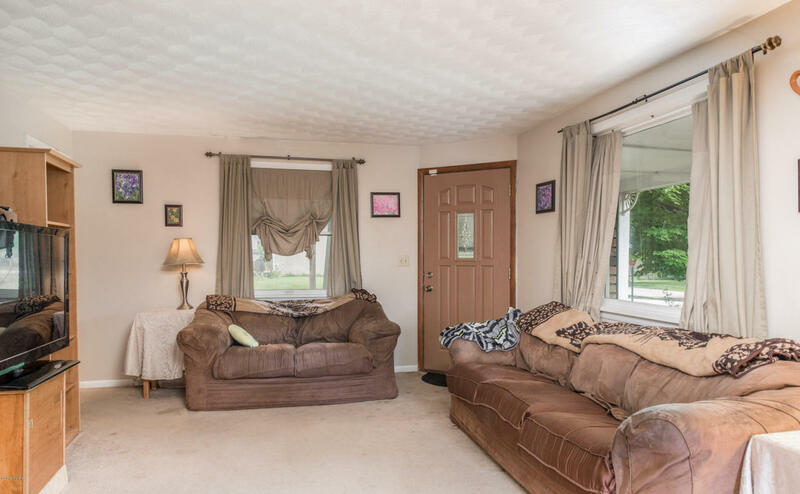 Very large four bedroom two bath home in the villiage of Lawerence. Corner lot with a wrap around front porch. Main floor bedroom connected to bathroom, living room, great room with fireplace and large family kitchen with snack bar. Upstairs has three bedrooms and a full bathroom. Basement has 500 square feet of additional finished living space. Owner has added a combo workshop garden shed with 160 feet of workshop and 80 feet of storage in addition to the large two car attached garage.